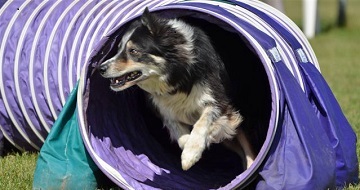 The purpose of the Canine Agility of Central Minnesota, Inc. (CACM) is to promote the sport of dog agility. This sport is open to all dogs capable of demonstrating their ability to run a course of obstacles in a safe and competent way. The club is to provide owners of dogs the opportunity to learn more about the sport and to hold events in which they may compete. Welcome Spring! CACM classes resume the week of May 6, 2019!